While your influence mightn’t be as strong as it once was, parents play an important role in ensuring that teenagers continue to receive proper dental care. They might appear to resent you today, but as any good parent knows, they’ll be thankful for you when they’re adults! So, what can you do to encourage good oral health in your teenage children? At Dental Care Group, we’re big fans of prevention. That’s why we put such a premium on dental hygiene! That also means building good oral health care habits early during childhood. Once brushing and flossing are established as part of a child’s routine, they tend to stick. Your child will carry this through to their adolescent years… and beyond! If you ask us, the parents who get the best results teaching their kids proper oral habits are the ones that lead by example. Younger kids follow role models – you, in other words. Once these habits are established, healthy teeth are easy to maintain throughout the teen years. 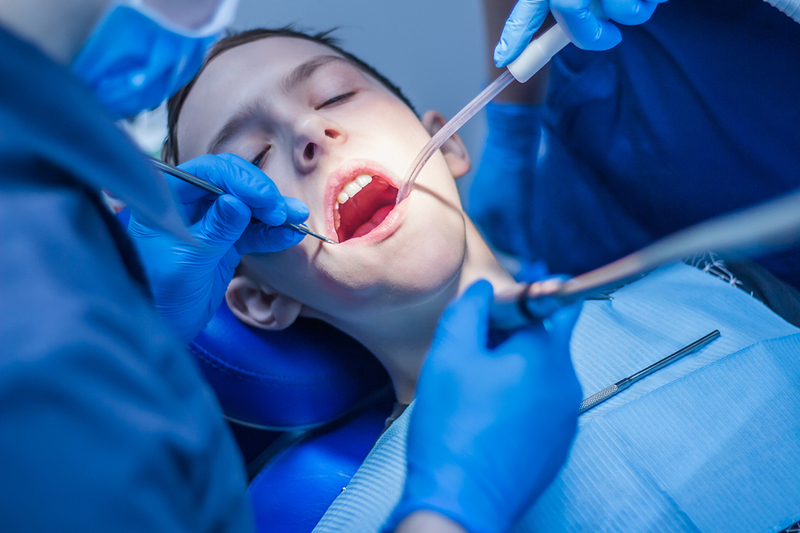 If your teens are complaining about pain or a sharp tooth starting to poke through the back of their mouth, your obvious first thought will be that their wisdom teeth are coming through. You’re probably right: wisdom teeth normally erupt between the ages of 17 and 25, and while some people think they’ll eventually disappear, right now, up to 85% of the population will need their wisdom teeth removed. Wisdom teeth surgery starts with an x-ray to determine the location and orientation of your teen’s wisdom teeth. From there, we’ll advise on surgery. Find out more about wisdom teeth surgery and recovery in this blog post. If there’s one word we had to use to sum up our teenage years, it would be “discovery”. Teenagers love trying out new things. Here’s the thing, however: some of this exploration can be extremely dangerous to your oral health! The consequences of smoking are well-known, including how it’s one of the biggest contributing factors to poor oral health. Fortunately, smoking rates among teens have been on a downwards trend for the last decade or two, which is fantastic news from both a dentistry perspective and a public health one. Unlike tobacco, piercings are on an upwards trend. There’s nothing wrong with it – however, oral piercings can put their oral health in jeopardy. In particular, oral piercings can cause fractured teeth and other gum diseases. This is especially dangerous if teeth are not well-taken care of. In Victoria, teens over 16 are allowed to get piercings without parental consent. You can’t stop them – however, you can steer them away from getting oral piercings. And if you need backup, a dental professional can help explain the risks of oral piercings to teenagers. Are your teens active in sports? Extra-curricular activities such as sports bring with them the risk of injury. As such, teenagers should be encouraged to wear mouthguards to protect their mouth, jaw and face from any injuries. This doesn’t just apply when they’re participating in full-contact sports like footy; it also applies to non-contact sports like soccer or cricket. All of this can help your teens avoid a trip to an emergency dentist! Teenage years come with an increase in independence and responsibilities. However, very few teens are at the point where they’re able to (or at least, willing to) organise their own medical check-ups! As such, this responsibility still falls on you. Therefore, you’ll want to make sure you continue scheduling regular visits to the dentist to identify and resolve potential dental issues. 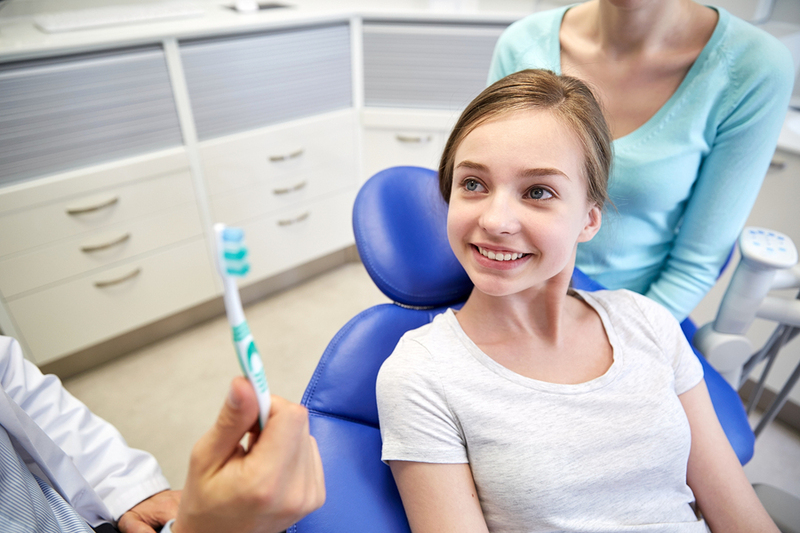 Regular trips to the dentist provide teens with sensible information and helpful advice to teenagers in addition to identifying potential dental issues. Visit your family dentist in Armadale today! While they might be older now, they’re still your kids – it’s only natural to want the best for them! Dental Care Group welcomes patients of all ages to our Armadale dental clinic. Over the last 25 years, we’ve provided friendly and effective dental treatments and services for patients of all ages. That includes children, seniors, adults and of course, teenagers. Book an appointment with our Armadale dentist today or give us a call on (03) 9509 1500.